I provide you with translations of your business communication, product brochures, contracts, press releases, marketing texts, annual reports, conference documents, operating instructions and the like. I would also be happy to transcribe your audio files in advance. You cannot find your required language combination? Please contact me! I closely cooperate with qualified translators and interpreters, who I can gladly recommend to you. Top quality: prompt, cost-effective, confidential. Make room for your core tasks and trust experts with your texts. Translating is a complex activity that needs to be studied. It requires high text writing skills, meticulous research, know-how within the corresponding field, strategies adapted to the corresponding language pairs as well as excellent skills of source and target language. 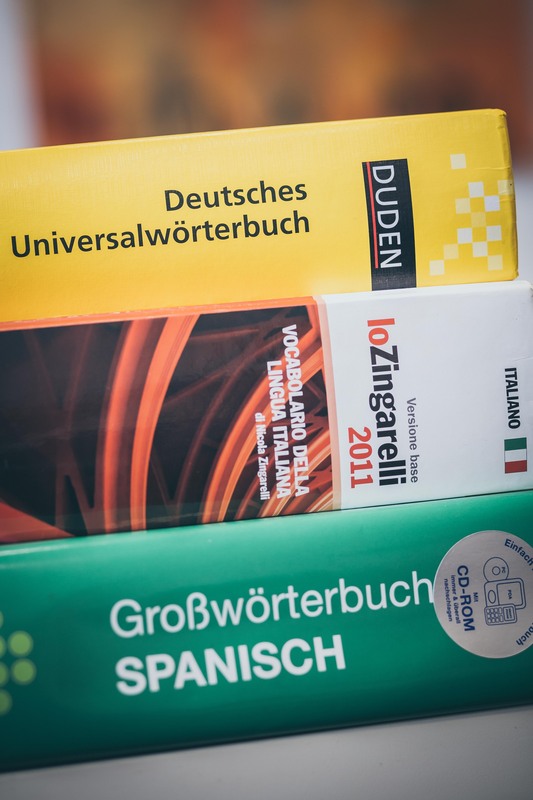 Therefore, LingArts always works in accordance with the provisions of the European standard EN 15038 for translations using mother tongue principle and “four eyes” principle. Each translation goes through proofreading by a qualified colleague for being able to guarantee top quality. For LingArts it is important, that translations match the original as closely as possible. Because: The focus lies on your contents – the translation must not be noticed.